5つ星のうち5.0The end justified the means? Michael Connelly has done it yet again. 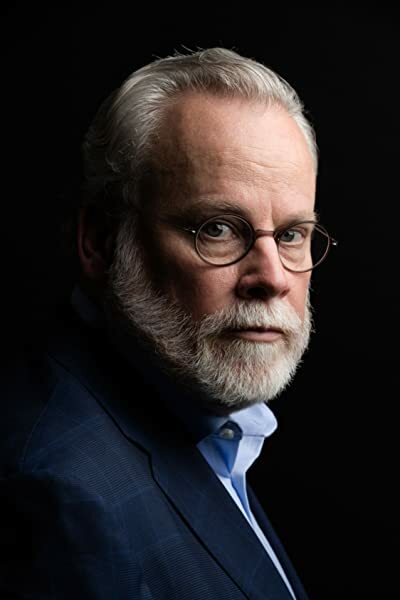 Two Kinds of Truth is an outstanding addition to the fabulous Harry Bosch series. 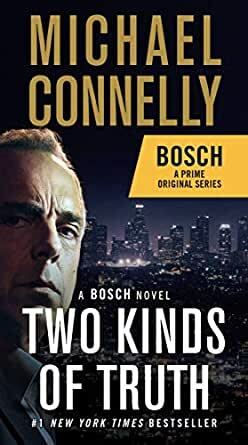 This mystery series is one of my very favorites; Connelly has managed to create an authentic, likeable main character in Harry Bosch and has successfully provided him with a career path that lends itself to interesting cases and story lines. In Two Kinds of Truth, Harry starts out revisiting a cold case for the San Fernando Police Department. Soon after, he is dragged into a corruption investigation; a convicted criminal claims Harry framed him years before. Because he left the LAPD on bad terms, he is stuck fighting the case on his own and reluctantly decides to enlist the help of his half-brother Mickey Haller, the Lincoln Lawyer. Meanwhile, a pharmacist in San Fernando is murdered, and Harry must go undercover to solve the crime. (On a silly side note, I am never a fan of undercover operations – in books, on TV, in movies, etc. – they majorly stress me out. I managed to successfully survive this one and still completely love the book.) As the story progresses, Harry works to clear his name in the one case and attempts to resolve the other two. As always, the book was perfectly paced, and the resolutions of all three plot lines were believable and satisfying. One of my favorite things about Michael Connelly’s books is that he uses his platform to shine light on current social issues and problems. In Two Kinds of Truth, he tackles the widespread, high-dollar world of prescription drug abuse. Connelly realizes that these is no simple solution and refuses to have Harry neatly wrap up this plot line which I liked and respected, but he still highlights the horrific effects on our society and on those who become addicted. The other part of Two Kinds of Truth that I loved was the resolution of the cold case Harry was pursuing. I would not have seen that ending coming in a million years; this is something that always thrills me to pieces – an ending that is not easy to figure out long before the book is done. Truth is a concept that has been taking a beating in the last year. I was intrigued by the book’s title and was excited when I found the paragraph from which the title was derived. “[Bosch] knew there were two kinds of truth in this world. The truth that was the unalterable bedrock of one’s life and mission. And the other, malleable truth of politicians, charlatans, corrupt lawyers, and their clients, bent and molded to serve whatever purpose is at hand.” As the mother of three children, I have had to spend an inordinate amount of time this past year making sure my kids understand how important the truth is and how important it is to refuse to accept those that attempt to corrupt truth. Connelly’s message on truth is fabulous. As is readily apparent from my review, I absolutely loved this book. While it is part of a long series of books, I think it could easily be read on its own. 5つ星のうち5.0Harry Bosch at his best! After reading The Late Show, I was most eager to get to my beloved Harry Bosch. Our affair, lopsided as it is, goes back twenty years. Occasionally, Harry has let me down (Nine Dragons) and sometimes I want to slap him, but mostly Harry is so perfectly Harry that I dive into his stories with the enthusiasm of new lovers looking longingly into each other’s eyes. Two Kinds of Truth starts with double gut punches: a pharmacist and his newly graduated pharmacist son are murdered in cold blood, and a 30-year-old case of Harry’s is re-opened on the premises that either he and/or his partner back in the day botched a case and/or planted evidence to convict an innocent man. All right, I admit it, for a moment I was like—whatever, here’s Harry playing the underdog again. Sigh, okay, I’m in. But turn the page, my reader friend, and see that out of the gate, this is a different kind of story. Bosch is still working as a volunteer detective with the San Fernando Police Department and partners with Bella Lourdes. Although still in minor roles, Bella and Bosch’s former LAPD partner Lucia Soto and his daughter Maddie feel like they have more substance in this story. They aren’t merely props to move the story along, but women with their own opinions and roles. I like that. Another former partner, Jerry Edgar (whom I like very much in the Amazon Bosch TV show) makes a comeback. He’s still the complex Edgar he was throughout their partnership, but dang I can’t help cheering for him to come through when it’s critical. Bosch goes undercover, something he has rarely done, explained in chapter 25, “But when you went undercover, you moved from the safe confines of justice done and entered the world of the depraved. You saw how humans prayed on one another, and there was nothing you could do about it without blowing cover. You had to take it in and live with it to see the case through.” This, opposed to being a homicide detective and showing up after the murder, when all you can do is solve the case. I love the appearance of Mickey Haller—a half-brother so distinct from Bosch that any writer having difficulty writing descriptive dialogue to discern speakers needs to read these chapters. You know every time when Mickey is speaking and when Bosch is speaking. I also love that Cisco, Mickey’s investigator has a good sized part in this story. When I last read about Cisco, he hadn’t fared too well after a motorcycle accident. So, good to see his recovery struggles bring him out the other side. Not sleeping last night had its benefits. A cup of lavender tea, classical music on the Bose (I should have played Jazz) and ripping through the last third of this fast-moving, absolutely well-written book. Can I wait a year for Harry to rise again?